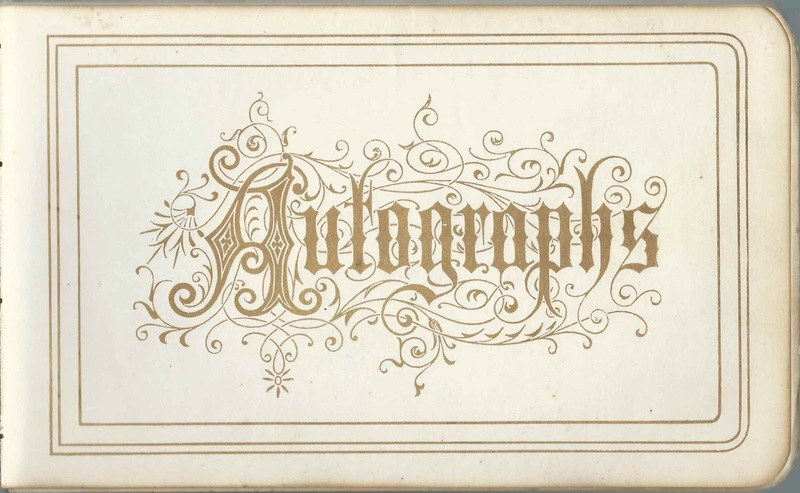 1878-1882 autograph album that belonged to Rosa Clark Wilson, "Rose", of Binghamton, New York. 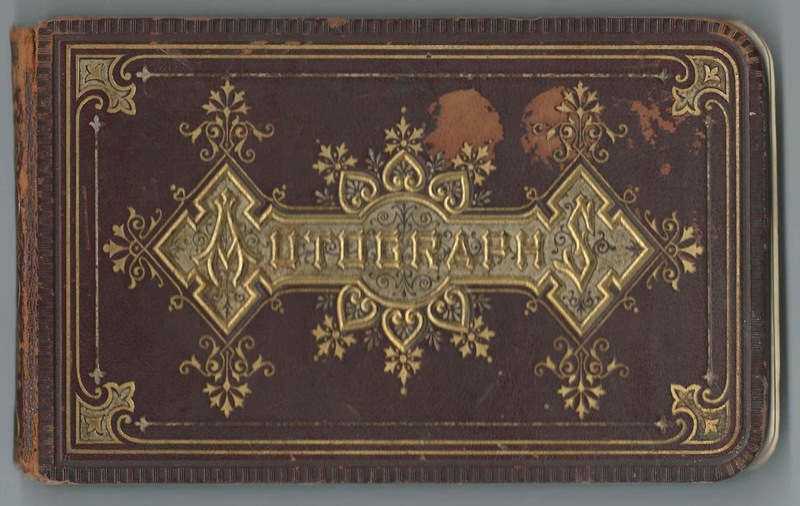 There's no ownership or presentation page, but clues in the inscriptions point to Rose at the album owner. The album measures approximately 7" by 4-1/4" and contains the sentiments of about 40 of Rosa's relatives and friends, some of whom, including Rosa herself, contributed to a group page that was inscribed during an outing a Lake Oquaga from July 9 to the 15th in 1879. Most of the people who contributed to this page also inscribed individual pages in the album. Hitchcock V Van Tuyl ? Rosa Clark Wilson was born about 1860 in Broome County, New York, the daughter of merchant William Newbold Wilson and Caroline (McKean) Wilson. 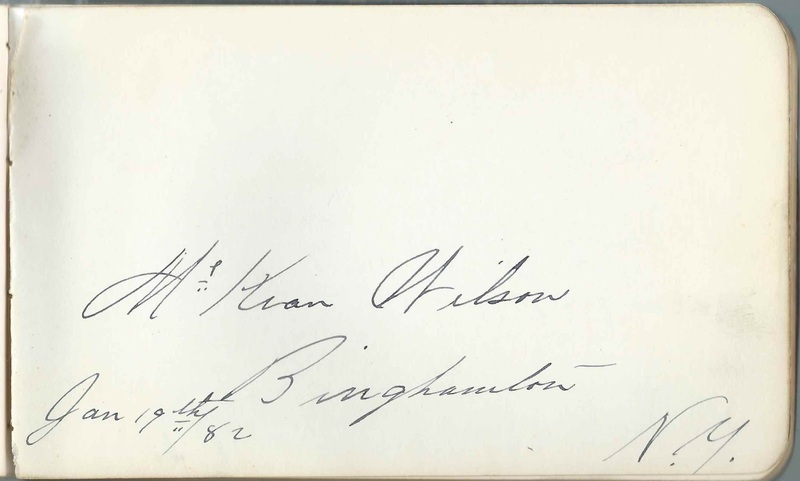 Two of Rosa's siblings inscribed pages in her album: Lizzie Ely Wilson and [William] McKean Wilson. It appears that Rosa never married; she died in 1902. If you have corrections and/or additions to the information above, please leave a comment or contact me directly. 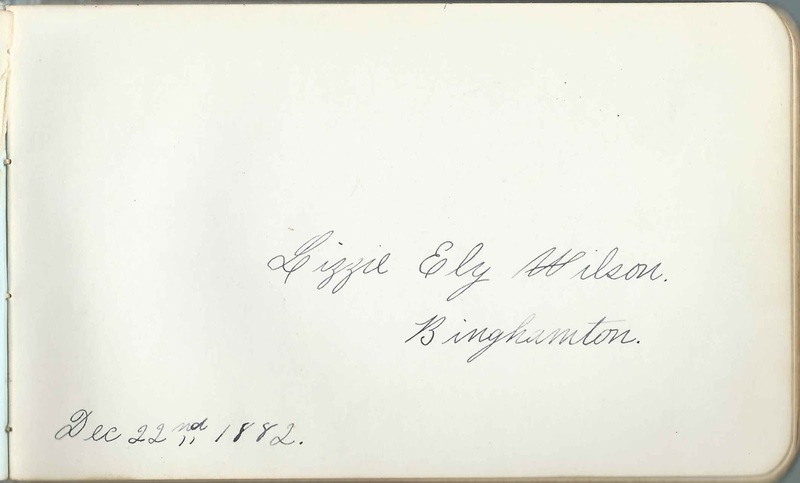 "Deaney"; inscribed at Deposit, New York, on August 20, 1879. Presumably a member of the Dean family. A. Ford; middle initial possibly W or N or ? 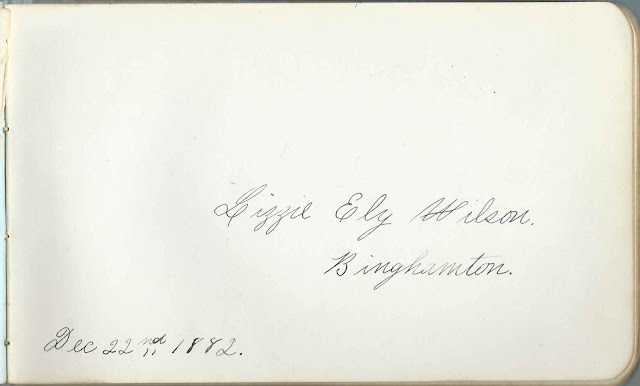 H. J. Truesdell of Binghamton, New York; inscribed on July 1, 1878. 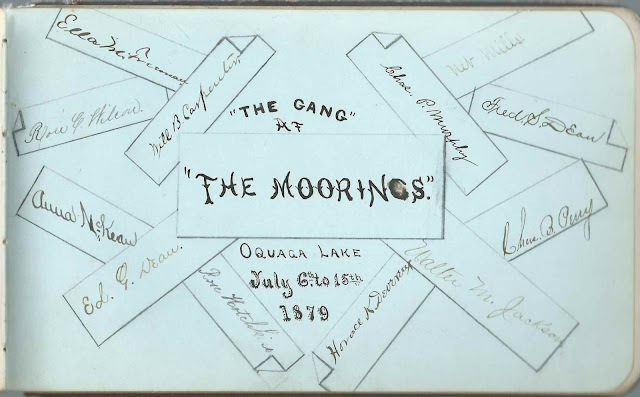 He wrote the date Sunday Even, June 29, 1879 at the bottom in pencil. Also written in pencil along the right edge: "Binghamton NY, September 26, 1880. One week from this date I solemnly promise to return to Rose Wilson the property I have now in my hands belonging to her. H. J. Truesdell"
Rose C. Wilson of Binghamton, New York; album owner; she inscribed a group page during an outing at Lake Oquaga in 1879.